Viknesh Vijayenthiran March 4, 2019 Comment Now! 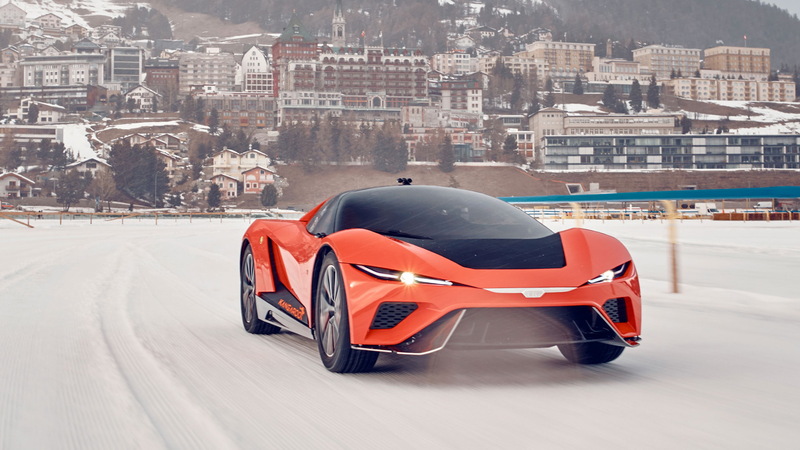 GFG Style, the design studio born from a partnership between legendary designer and former Italdesign head Giorgetto Giugiaro and his son Fabrizio, have a new concept to show us—but not a typical one. 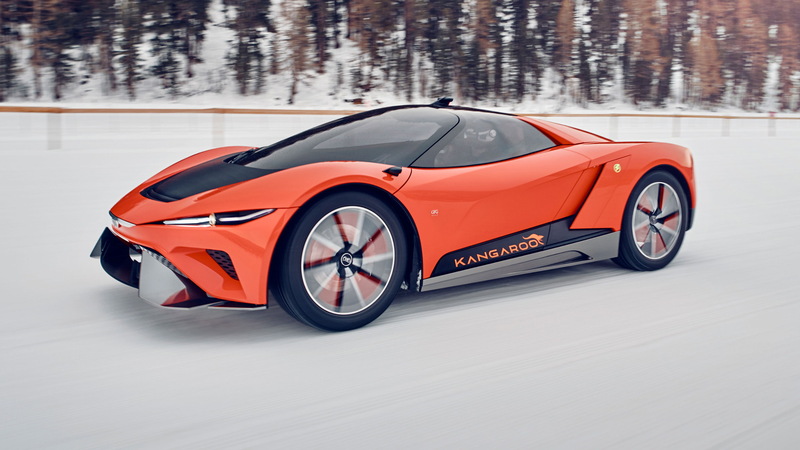 The firm plans to debut the Kangaroo super-SUV on Tuesday at the 2019 Geneva International Motor Show, a design that blends elements of supercars and SUVs to realize an incredibly fast vehicle no matter the terrain. It's an idea that isn't new to the Giugiaros. In fact, it's something the father-and-son team explored when they were still at their eponymous design firm. 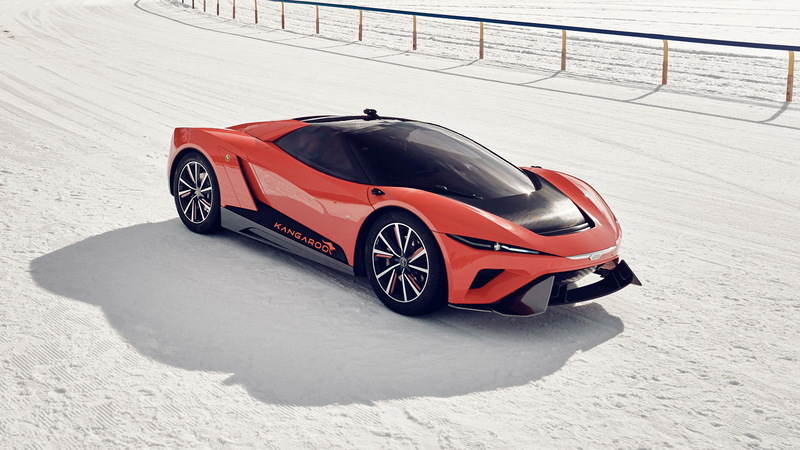 Who could forget the awesome Giugiaro Parcour concept from 2013? 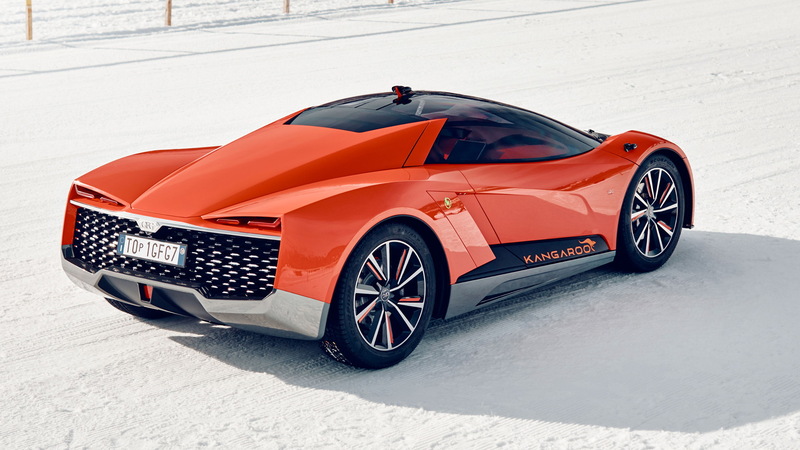 For the Kangaroo, GFG Style has selected an electric powertrain instead of internal-combustion power like in the Parcour. An electric motor, each delivering approximately 240 horsepower, is found at each axle, resulting in a car that springs to 62 mph in 3.8 seconds and tops out at 155 mph. A 90-kilowatt-hour battery means a range approaching 280 miles is possible, although spirited driving will naturally reduce that figure. Keeping with the atypical trend, this SUV will only seat two passengers; there's a driver's seat and room for one extra passenger. And entry to the cabin is via a pair of doors on each side. The upper part of the greenhouse lifts up gullwing style, while the lower part, the door itself, slides upward like scissor doors. Underneath the svelte styling is an aluminum spaceframe covered in a carbon fiber body. Adjustable suspension means the vehicle can be raised or lowered depending on the terrain. 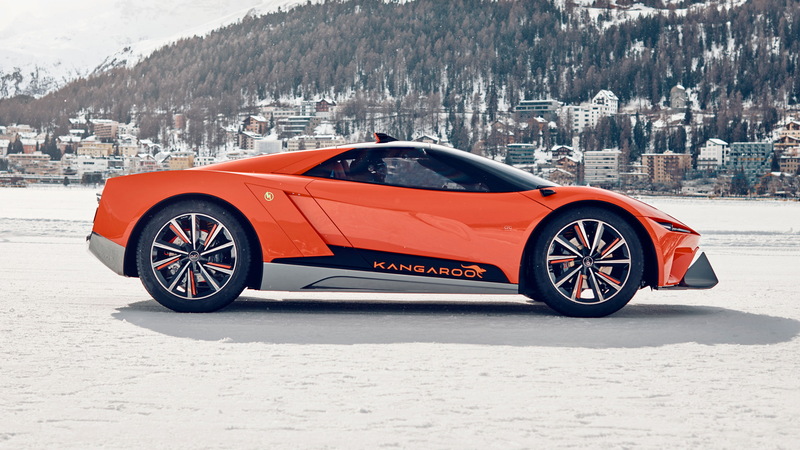 Sadly, there's no word if the Kangaroo concept will ever spawn a production model. There's certainly demand for high-performance SUVs, though, as demonstrated by the likes of the Lamborghini Urus and upcoming Ferrari Purosangue.